Handling electrical supplies comes with significant hazards such as electrocution, and that is why most people prefer to have professionals handle them. When your home is in need of such installations or repairs, electrical contractors are the best people to contract. These experts are also the ones to hire in case of new construction, rewiring and equipment installation in a commercial or industrial building. At PNP electrical, we have skilled tradespeople to handle these functions and more. Training is one of the greatest determinants when gauging the efficiency of a contractor. The electrical industry is a dynamic one with new inventions and techniques coming up now and then. Any good contractor gets continuing educating to ensure relevance when delivering services, and that is what we offer to you. Our contractors have access to the best equipment and utilise the latest techniques to provide first-class services. What you get from our services is professionalism that ensures your electrical project turns out well. 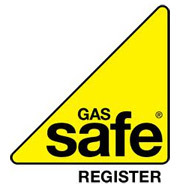 We are certified by major bodies in the region to provide quality services in Runcorn. Insurance is one aspect that most customers worry about, especially with major electrical jobs. With the various risks that such work brings, it is understandable to enquire if contractors are covered. Our electrical contractors are insured; and so, you will receive our services without apprehension. Reliability is another benefit you get by working with professionals from PNP Electrical Services. Whether you need new installations in a home care facility or wiring in a retail store, trusts our staff to deliver. The importance of deadlines in large-scale projects cannot be exaggerated enough, and that is why we put our best resources to meet them. When you need contractors for electrical work in Runcorn, PNP is the service to call. Our contractors will fulfil their responsibilities diligently and safely to make sure that you not only get a functional electrical system but a safe one as well. "At all times they were very professional in their approach to any jobs they were asked to d..."
"I can do no more than recommend PNP to any school/company with the certain knowledge that t..."
" After being let down by our previous electrical contractors we contacted PNP Electrical. ..."
Mr K Livesly, Depot Manager, 3G Seafood Solutions. © PNP Electrical Services | NICEIC standard electric 2019. All Rights Reserved.